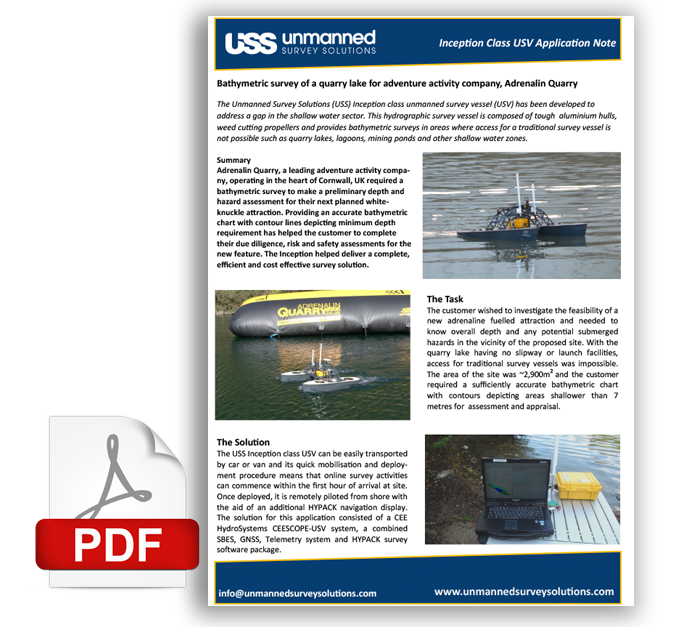 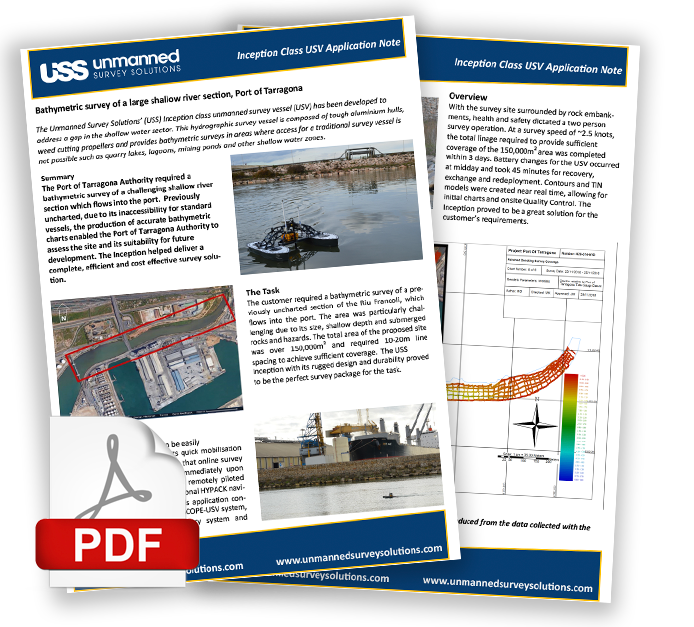 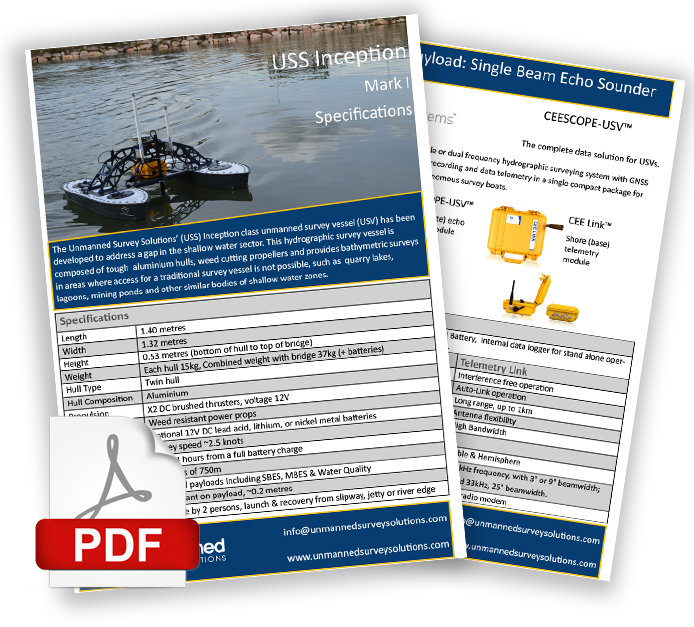 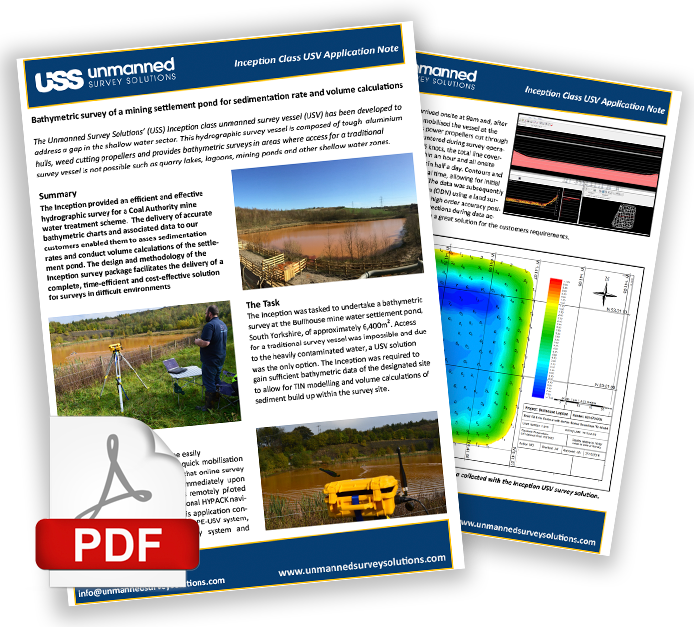 The USS Inception Class Unmanned Surface Vessel (USV) has been developed to address a gap in the shallow water sector. 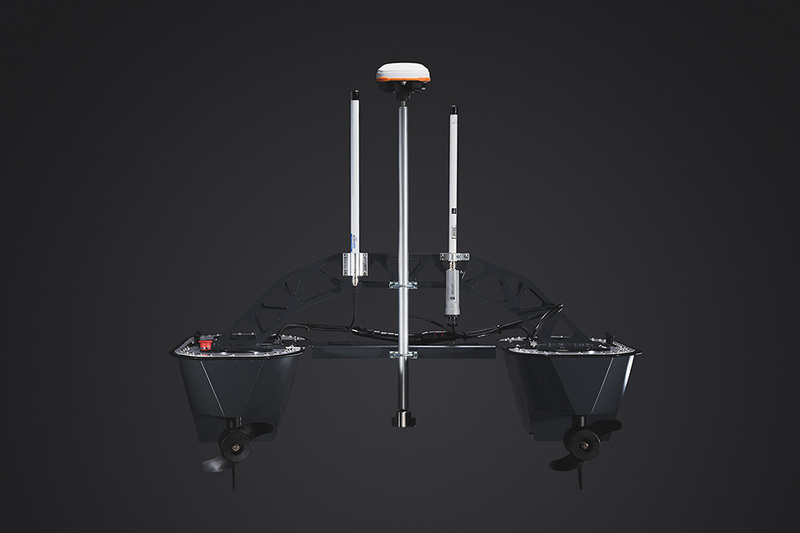 This hydrographic survey vessel is composed of tough aluminium hulls and weed cutting propellers. 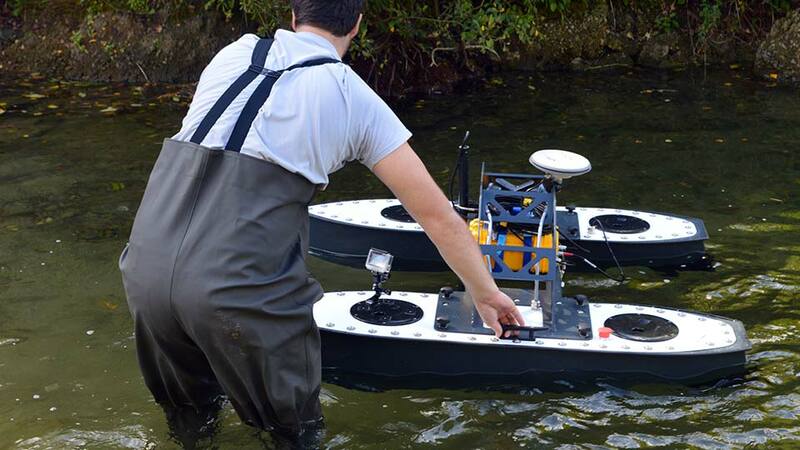 It runs bathymetric surveys in areas where access for a traditional survey vessel is not possible. 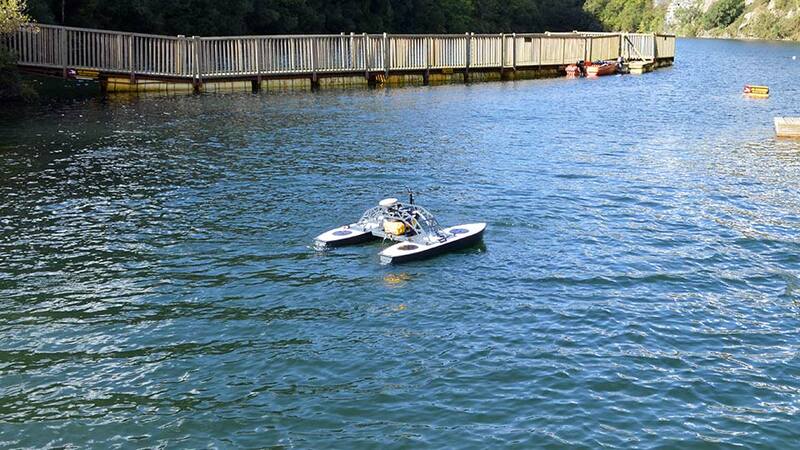 Places such as quarry lakes, lagoons, mining ponds and shallow water zones.